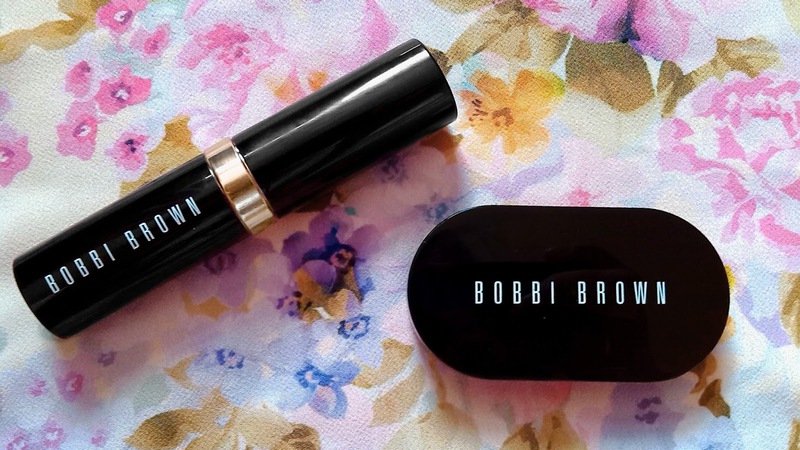 A couple of months ago it felt like everybody was talking about the new formulation of Bobbi Brown's Skin Foundation Stick and back in June, during a well deserved but very expensive revision break, I splurged a little on the Bobbi Brown website! My wishlist of Bobbi Brown products is growing ridiculously long (the Surf eyeshadow palette is so beautiful and I don't think I'm ever going to completely get over the heartbreak of not having it in my collection) but, surprisingly, I was a Bobbi Brown virgin before this purchase! I bought the Skin Foundation Stick in Warm Ivory and the Creamy Concealer in Ivory. I didn't actually get a chance to get colour matched at the Bobbi Brown counter and I was really worried about finding the right shade for my skin. During my search, I stumbled across a really useful website called findation.com which asks for your shade in other foundations and it tells you the equivalent shade in other brands! I thought this would be quite useful to mention here as I know not everybody has a Bobbi Brown counter close to them and it worked wonderfully for me. For mornings where I've pressed snooze on my alarm about five hundred times, this foundation is an actual lifesaver. When I go back to University I can see this foundation becoming a staple in my make-up bag but even though I don't currently reach for this every day it doesn't mean that I love this foundation any less! The amazing thing about this foundation is that it's so easy to apply as it blends so beautifully and mimics the appearance of perfect, healthy smooth skin. I can apply it to small areas of my skin to cover blemishes, add a thin layer for everyday, natural coverage or apply a thicker layer for the evening and, regardless of how much I apply, it won't look cakey. According to the Bobbi Brown website, the foundation contains olive extracts and shea butter which moisturise the skin. These ingredients help to explain why it covers dry patches quite well and doesn't accentuate flakey, dry skin very much which so many stick foundations tend to do! There are also oil-controlling minerals in here to help control shine. I have combination skin and tend to get a little bit oily around my T-zone and I did notice that this shine was controlled fairly well when I wore this foundation! To apply, I draw lines along my forehead, cheeks and nose and I blend with the Real Techniques Buffing Brush. I apply more to my imperfections then pop it in my handbag in case I need to touch up during the day. I find I don't really need to use concealer (apart from on my under-eye circles) when I use this foundation! The shade range from Bobbi Brown is really impressive and this foundation is available in 24 shades, from the lightest to the darkest of skin tones. I'm quite pale and I was quite surprised that Bobbi Brown offered two more shades that were lighter than Warm Ivory! (Alabaster and Porcelain) I think the Foundation Sticks would also be brilliant for contouring with! I really love this foundation, it's a must-have in my make-up bag now! I want to love this, I really really do. It's an award-winner, so many beauty bloggers rave about it, people are calling it a holy-grail product and it has 4.3 stars on the Bobbi Brown website... so why on earth does it crease so god-damn much on my face? I'm actually really upset about not liking this product, especially after I've had such a positive experience with the foundation! The concealer itself has a sticky, creamy texture and applies really well if you use a patting motion. Initially, the coverage is also really great and it hides my under eye circles just as well as my beloved Collection Lasting Perfection concealer, in fact I initially preferred this concealer as it looked a lot more natural. When I first applied the product I used my fingers to apply the concealer and then I used a small fluffy brush to dust on the powder afterwards. I was really pleased with the outcome and I happily went ahead with applying the rest of my eye-makeup. I couldn't believe that after ten minutes it had started to settle into the lines underneath my eyes and began to look a little cakey. It actually looked worse when I tried to smooth out the lines with my finger and I think it accentuated the little dotty patches of my skin which I'd never even noticed before! Since purchasing this concealer, I've played around with it a lot to see if I was doing something wrong. I did find that applying too much powder seemed to emphasise the small, dotty patches around my eyes and using an eye-cream first has helped lessen the creasing a little. I've tried the concealer on my blemishes around my face and the results are actually much than when I apply this under my eyes. But even then, the results aren't that great. However, the powder is rather good on its own I'm going to continue to use around my face! Maybe this concealer just doesn't agree with my under-eye circles, or maybe it works much better when combined with the corrector... I'm really not sure. I think I might go to a Bobbi Brown counter and ask the make-up artist to show me how to apply it correctly and see if there's an improvement but for £24.50 I'm rather disappointed and I won't be repurchasing this product again! Even though I haven't had such a wonderful experience with the concealer, I really love the Bobbi Brown foundation and I still intend to try more products from them! 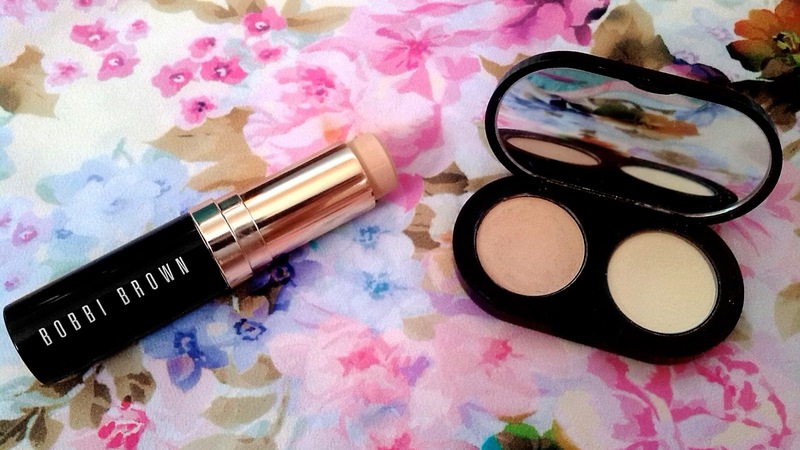 Have you ever tried out the Bobbi Brown concealer? If you have, any tips or advice would be really welcome! I'd love to hear what your favourite Bobbi Brown products are! I have been using their foundation for quite a long time. I am obsessed with this and I am absolutely in love with this. I did professional makeup lesson by Lina Cameron as well, which helped me a lot to improve my skills. Getting a professional makeup lesson may help you to improve your skills too.